Yesterday, I received a recorded message from the Santa Clara County Public Health Department regarding the triple digit weather, especially for Gilroy, San Martin and Los Gatos, advising the residents to stay inside until Friday. It’s not about “poor air quality,” it’s about the heat and dehydration. No physical activity except for getting to the mall or movie theater, in order to take advantage of the air conditioning. Okay, so I listened yesterday and seized the opportunity to read a novel, Tell The Wolves I’m Home, by Carol Rifka Brunt. Today, however, I stretched the rules just a little. 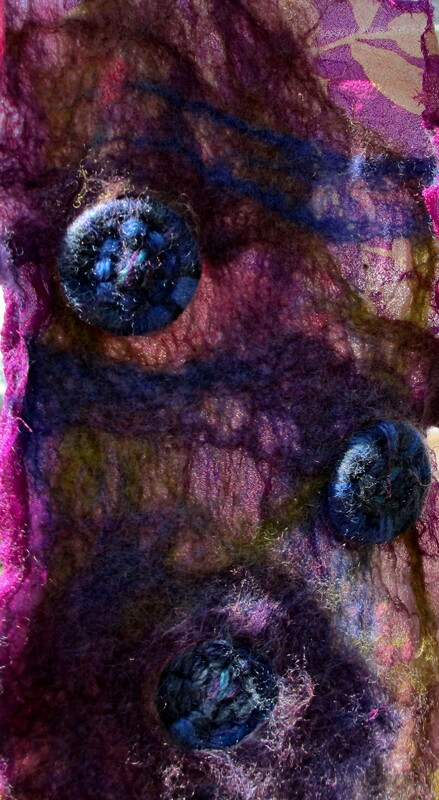 My last post described wet felting with an embedded object. 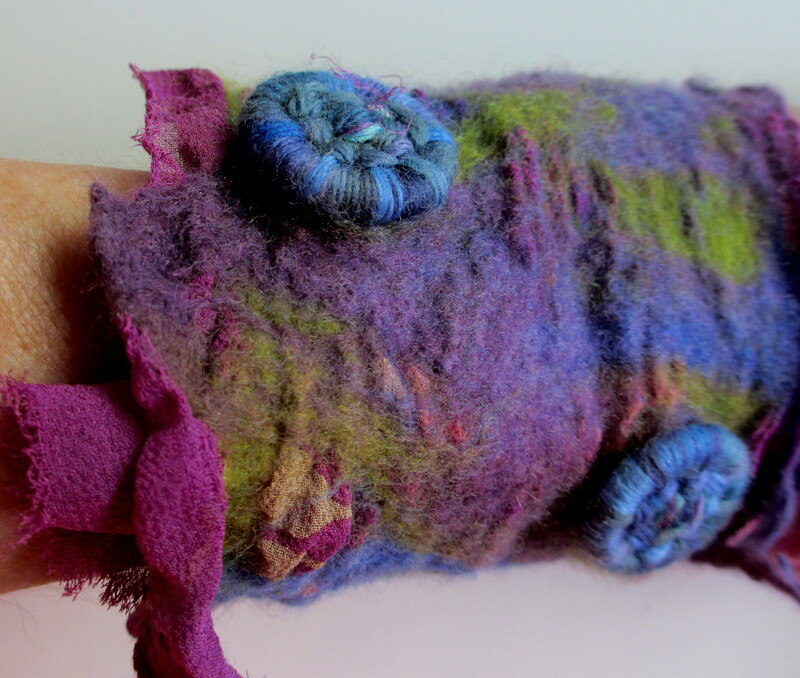 Why not try Nuno Felting with an embedded object? Hmmm…good idea! The silk used for this project was upcycled from a dress purchased at my local thrift store. 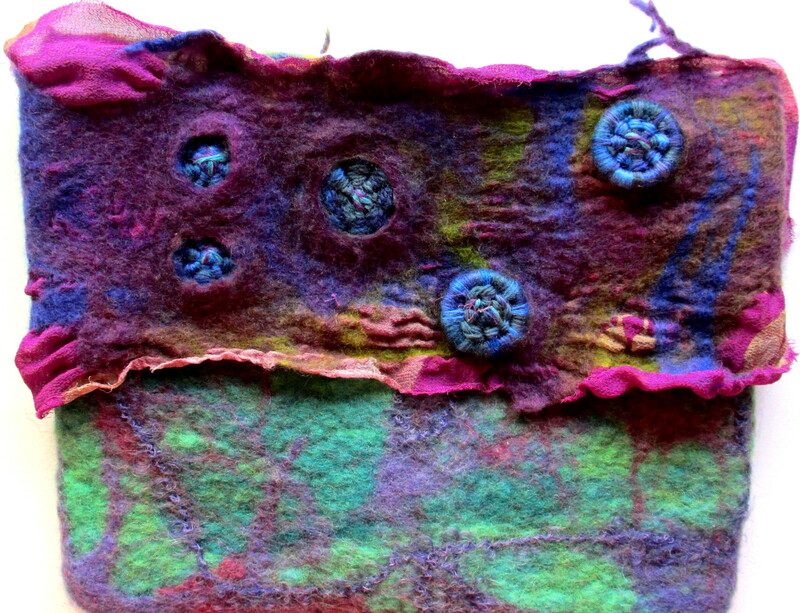 I gazed at the three dimensional qualities of the fabric and contemplated what to do with the piece, perhaps a wristlet secured with a dorset button, or maybe an added embellishment to a felted purse.